David Zobrist is the founding owner and principal of Z Projects, a Texas based strategic partner of Brookwood Group. Dave has more than 35 years experience in project management, design and construction, first as an architect, then as a national corporation’s owner’s representative and regional project manager and, currently, as a consultant providing project management, design and construction services. His experience ranges from managing and designing retail service centers to corporate high-rise office buildings. As an owner’s representative, Dave has developed procedures, policies, standards and tracking systems that have consistently kept projects on time and under budget. For the past 20 years, Dave has focused on project management assignments involving mergers, acquisitions, consolidations, dispositions, capital improvements and asset preservation, as well as new construction and remodeling projects. He has managed teams and provided design services in multiple locations over large geographic areas. His leadership style, his focus on communication with all project team members and his understanding of clients’ project delivery systems have been instrumental in the successful completion of projects. In 2003, after a combined 30 years of experience as an owner’s representative, architect and project management consultant, Dave’s passion for “doing what’s right” for clients led him to establish Z Projects. Located in Dallas-Fort Worth, the firm specializes in project management, design and construction. Prior to establishing Z Projects, Dave was a project manager and regional partner with Dallas-based Driemeier Pieper & Associates. In 1997, Dave joined Brookwood Group (when it was known as Satulah Group). He was with the Satulah business units that were sold to LaSalle Partners in early 1998. LaSalle subsequently acquired Jones Lang Wootton to become Jones Lang LaSalle (now JLL). Based in Dallas with JLL through 2000, Dave received recognition as the Top Project Manager in the US Award. From 1990 to 1997, Dave was with the Corporate Properties Groups of First Interstate / Wells Fargo Bank, based in Phoenix, Arizona and, then Dallas, Texas. As a Regional Project Manager, Dave was responsible for preparing and tracking annual capital budgeting, team building, risk management, all aspects of project planning, selecting consultant teams, budgeting, scheduling, and construction management & vendor coordination. 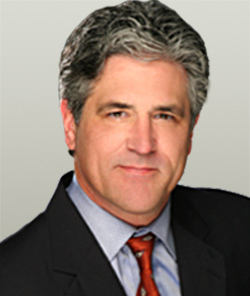 From 1988-1990, as a Project Manager, Corporate Architect and Department Head for Arizona State University in Tempe, Dave was responsible for preparing and tracking department annual capital budgeting, risk management, staff recruiting and reviews, project planning, selecting consultant teams, budgeting, scheduling, and construction management & vendor coordination. From 1981 to 1988, Dave was employed with various architectural/engineering firms in Phoenix including: Peter Lendrum; Cornoyer-Hedrick; SHG; and Langdon Wilson. Dave earned a Bachelor of Architecture, with Honors, from the University of Texas in Austin. He is a registered architect in Texas, Arizona, Arkansas, Colorado, Connecticut, Illinois, Indiana, Louisiana, Missouri, New Mexico and Oklahoma. He holds a National Council of Architectural Registration Boards (NCARB) certification and he is a member of the American Institute of Architects (AIA).